Get detailed analysis, comprehensive editing tools, and more with the Expert Holter Software Kit. The Holter Software Kit includes software, HR-300 Holter Recorder, and 7-lead patient cable. The IQholter™ recorder is small and lightweight, making it easy and comfortable for your patient to wear. The readable, well-lit display and intuitive keypad make clinician navigation and menu control simple. Get the detailed information and analysis you need with fast, simple Office Holter Software Kit. 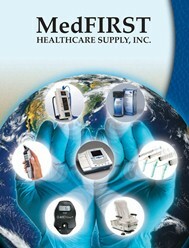 This software kit includes: PCH-100 software, HR-100 Holter Recorder, and 7-lead patient cables.